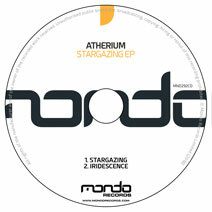 With releases such as '' already under his belt, rising star Atherium returns to Mondo Records with his brand new 'Stargazing' EP. As you'd expect, his latest offering is packed full of more uplifting and emotional energy which we've come to expect from any Atherium production. The latest EP opens with 'Stargazing' which is the perfect title, as the track leaves you with a sense of wonderment thanks to those divine melodies, sweeping pads and bags of emotion. On the flip, 'Iridescence' finishes off the EP and continues in much the same vein as 'Stargazing'. Full of emotion and guaranteed to have all hands in the air at the breakdown. Lush! Mondo Records has unearthed yet another fresh face, rising star in the form of Atherium, making his debut with his maiden single 'Winter Sun'. 'Winter Sun' is an exquisite blend of ..
Atherium is back on Mondo Records after making an incredible debut with 'Winter Sun', the UK based dj/producer continues with the follow up in the form of 'Heritage'.Complete with ..
Fast becoming one of the stand out stars and a name not to miss in 2017 is Atherium. Back on Mondo Records with two more lush and simply breathtaking pieces of electronic music.The.. Continuing his string of sublime emotional trance masterpieces, Atherium returns to Mondo Records with two more truly breathtaking tracks.Opening his latest EP with 'Coastline', wh..